The restaurant is the pride and joy of the establishment, and is renowned throughout the coast. From the tablecloths, to the cutlery, the decorations, the flowers, everything here reflects the care put in trying to have our clients make themselves at home while staying with us. 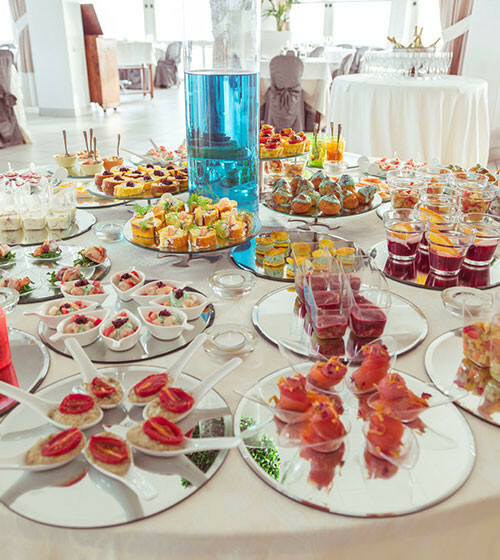 One of the main attractions of our restaurant is our great buffet of appetizers, where you can find seafood specialties, finger foods of all kinds, as well as a substancial selection of various sorts of typical cheeses and delicatessen, crafted in the purest Maremma tradition. Our fish mains have certainly been a staple for our customers for years, thanks to our care for fresh quality products and with our cook constantly coming up with new recipes. The indoor grill, on display on the back of the dining room, offers you a large range of fish, crustaceans and seafoods, all freshly caught. And if you’d rather have meat, we offer you delicious steaks from selected pieces. Finally, our pastries, which are crafted with care daily, will end your meal nicely, with a large choice of desserts and pies to choose from. 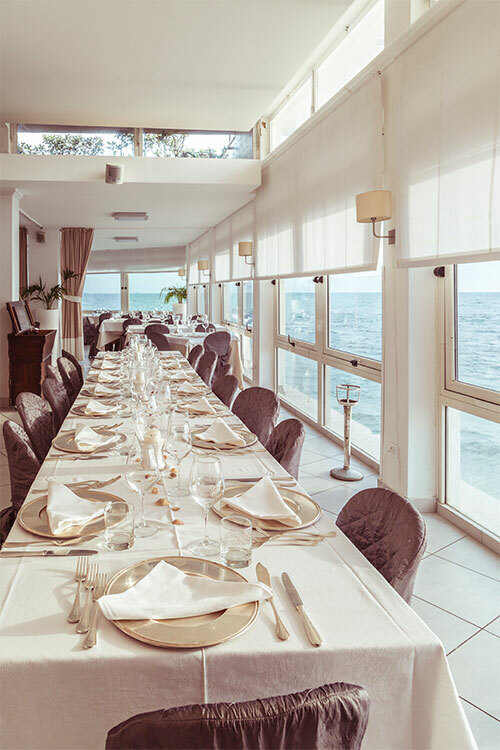 Thanks to its fine dining room overlooking the sea, the Piccolo Mondo is a place of choice for your romantic candle-lit dinners, and is also suitable for any of your special occasions (weddings, christenings and family get-togethers). Business meetings, conferences, presentations, may also find the most appropriate response to their needs here. Our staff is professional, attentive, and efficient without ever forgetting to smile. The Restaurant as well as offering its traditional menu can fulfill any special request and tailor to any special diet. During the summer season, you may choose to have a drink on our terrace overlooking the sea, thus enjoying the incredible scenery. Our four-legged friends are welcome in our hotel. WiFi service throughout the restaurant area. A unique combination of smells and tastes overlooking a dream setting on the sea.